Turkey’s main opposition Republican People’s Party (CHP) Ankara mayoral candidate Mansur Yavas casts his ballot at a polling station in Ankara on March 30, 2014. The Republican People’s Party (CHP) candidate for Ankara has declared victory in the polls while calling on voters to watch over the counting process and their votes until they are delivered to the Supreme Election Board. “We received almost 50 percent of the votes according to the information we have,” CHP candidate Mansur Yavaş said at a press conference at 8:30 p.m. local time on March 30. Meanwhile, Turkey appears set for its first-ever mayor to win under the banner of the Turkish Communist Party (TKP). 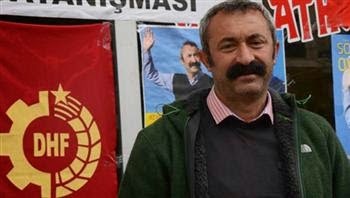 Fatih Mehmet Maçoğlu is poised to win the district of Ovacık in the eastern province of Tunceli (Dersim) for the Turkish Communist Party. And further, The ruling Justice and Development Party (AKP) has been shaken with a fresh resignation on the day of critical local polls. AKP’s Kayseri MP Ahmet Öksüzkaya announced via Twitter that he was quitting his party only an hour after the voting ended. “I am sadly seeing that my personal views on democracy, law and consensus do not correspond with my party’s policies,” Öksüzkaya said in a statement. “I hope that all my friends with whom I worked with will accept my decision. I will continue to serve my country and my city as an independent,” he said. 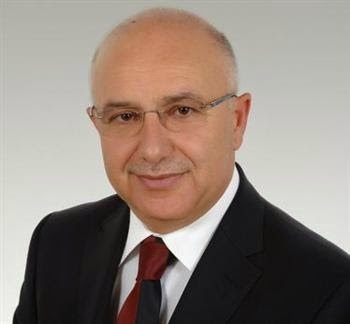 Energy Minister Taner Yıldız reacted by saying he was saddened by the announcement. Öksüzkaya is the tenth AKP lawmaker who has announced his resignation since the test prep row and the seventh since the damaging graft scandal.